Posted on July 12, 2013 by RachelB	• This entry was posted in Inspirational, Poetry and tagged depression, Healing, hidden shadows, Hope, inner conflict, inner strength, Inspirational, Love, negative thoughts, new outlook, new voice, Poetry. Bookmark the permalink. 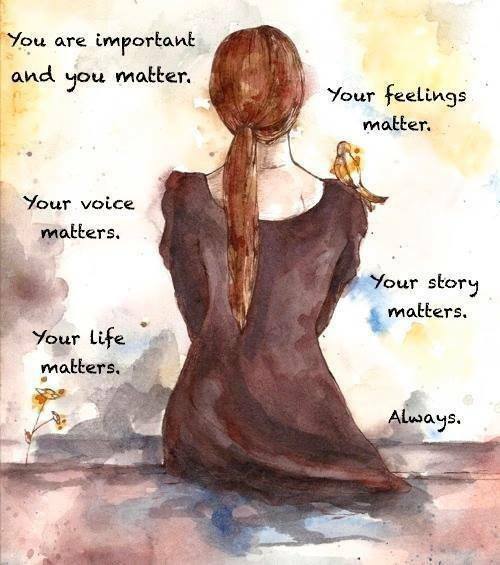 Dear Rachel, is the picture in “You Matter” your original work? I’d love to find a way to get a copy for my daughter’s wall. It looks just like her. The picture is not my original work.